You can, of course, walk through labyrinths. This is the most important, as well as the strongest use of labyrinths. Aside from walking through it, you can easily draw a labyrinth, follow its paths using a pencil on a piece of paper or a mouse on your computer screen. Or else, you can simply observe it, giving way to its mysterious influence. 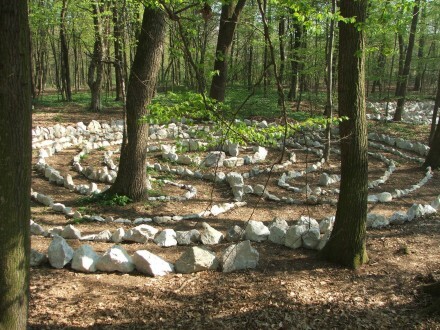 Since not all of us are able to have a real, large labyrinth at our disposal (due to the way of life, or place of living), labyrinths can be used like patterns or models. For this very reason, we have started creating labyrinths and their seed patterns in different materials, ornaments and jewellery. These, so called „mini-labyrinths” act as strong objects of power. If you are walking through a labyrinth, you can walk either slowly or fast, whichever way suites you best. Some labyrinths will encourage silence and piece inside of you, thus slowing down your pace. 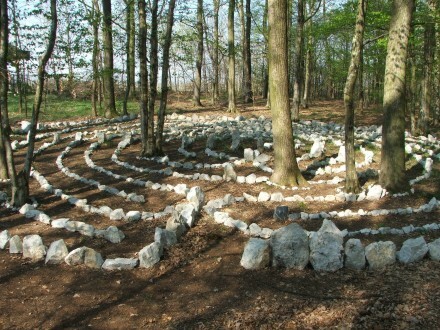 However, on another occasion, in another labyrinth, you might feel the need to run or even to dance through it. Do it! 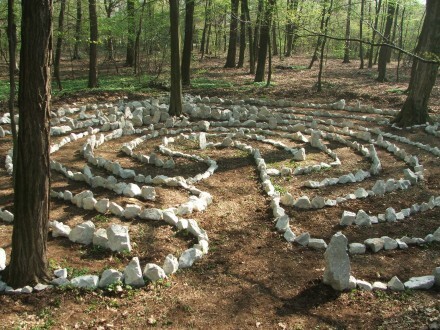 There are no rules that would determine the way a person should walk around a labyrinth. Nonetheless, aside from the descriptions of labyrinths in this book, you will also find suggestions to rituals that will, in a way, prepare you for walking. 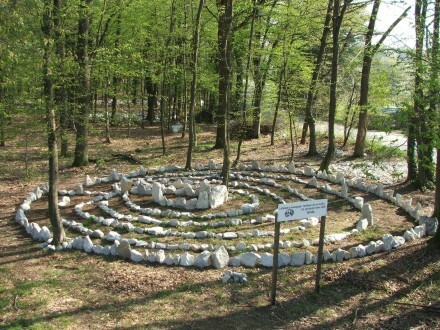 It is recommended that before entering a labyrinth, you should collect your thoughts, give way to silence and thus prepare for entrance. 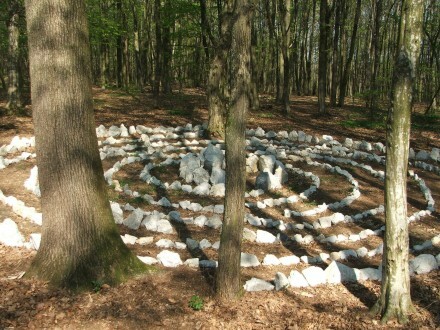 Walking through a labyrinth is a spontaneous process. Whatever the experiences we encounter, we need to embrace them. Once we have entered into a labyrinth, we do not look back until we reach the very centre. We have to be careful not to walk along the edges of the labyrinth, and under no circumstances are we to cross the edges making our way from one path into another. Once we reach the centre, we usually stop there for a while. Sometimes we will feel the need to stay longer. We do as we feel like, without certain rules or restrictions. Every labyrinth has its own characteristics and its share in the creation of power. 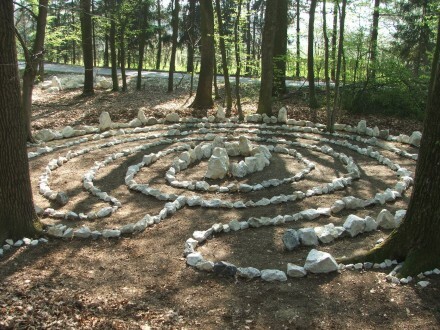 Aside from this use of labyrinths, they can also serve in all situations that we consider to be significant. For instance, the moments when we have to make decisions or partings and reencounters. 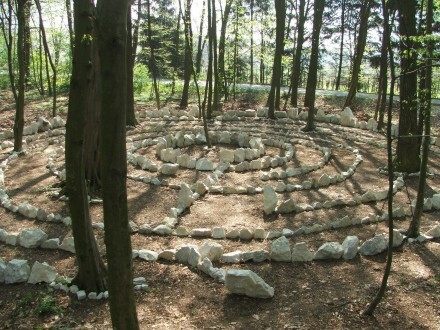 You can even get married or give birth in the centre of a labyrinth, whatever you want and however you feel! You can enter a labyrinth alone, which is what people most often do. Still, passing through a labyrinth companied by someone else has a particular „weight” and significance. It connects an entire group in a special way. No other form of socialising forms such deep bonds as a labyrinth does. 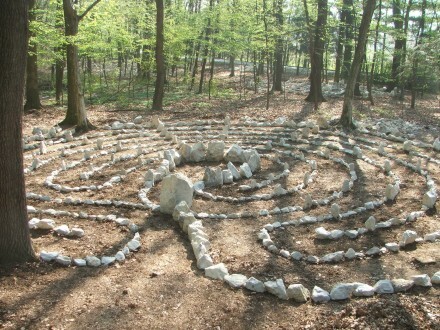 Ultimately, walking through a labyrinth is always some kind of a ritual, and must be approached accordingly. 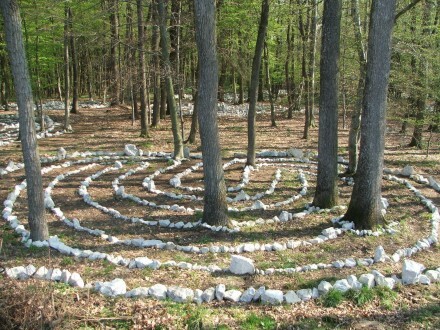 We have to treat each labyrinth with respect, not walk through it without a cause, not step over its edges, nor perform any other activities on the area the labyrinth was built on.